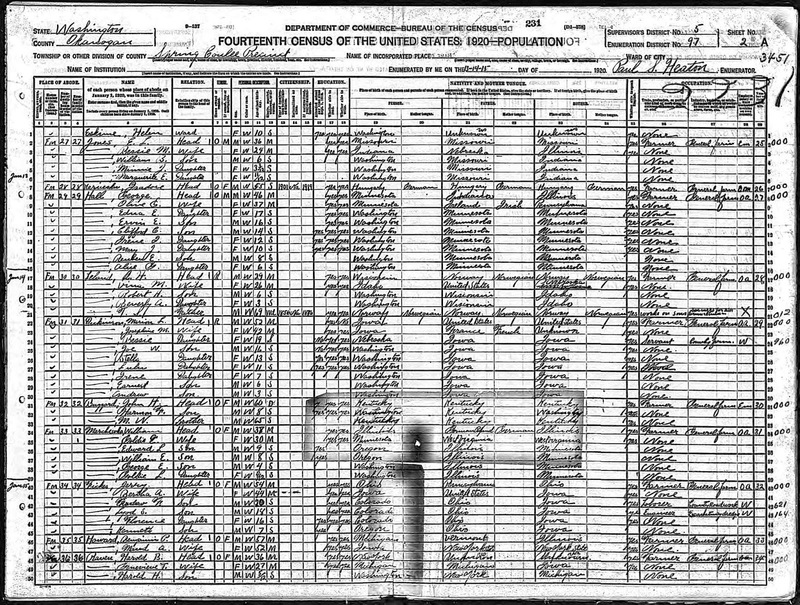 1920 United States Federal Census, Okanagan County, Washington, population schedule, Spring Coulee, ED 97, Page 2A, dwelling #30, family #30, A.H. Leland household, digital image, Ancestry.com (http://www.ancestry.com : accessed 25 March 2015); citing National Archives Microfilm Publication T625, Roll 1934. 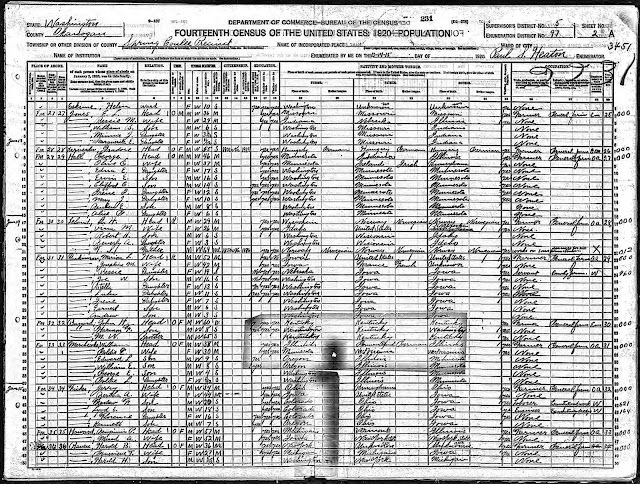 Arthur Henry Leland was the youngest son of Torger and Anna (Natvig) Leland, and in the 1920 United States census the family resided in Spring Coulee, Okanagan County, Washington. Arthur's wife was Malvina (Whitley) Leland, and they had two sons by 1920. T.S. Leland is Torger Sjursen Leland, Arthur's father, now widowed and moved west to be with his family. Torger Sjursen Leland is my wife's great-grandfather, through his eldest son Severt Oliver Leland (1878-1940).